Exclusively on LTS the entire range of Tivoli radios: when design becomes vintage Always dream of a vintage radio that captures the charm and atmosphere of the past, while offering comfort, practicality & agrave; and a powerful radio signal, able to receive all your favorite radio stations? From LTS you can find us that's right for you thanks to the exclusive series of vintage radios signed by Tivoli; an assortment of unique models, with a characteristic design and the countless functions that will satisfy your needs. Even the eye wants its part, especially in the field of furniture; here is why & eacute; the vintage radios of the Tivoli are a winning choice, able to match perfectly even with shabby chic or country furnishings, but without sacrificing comfort; of a resistant and reliable product. In addition, the range of models is cos & igrave; varied that you'll be spoiled for choice on which Tivoli radio to buy at LTS. All the charm of old vintage radios Despite the more and more age; technology in which we live, vintage has an indisputable appeal that is; been at the center of numerous debates and even in-depth studies. Who has lived a different historical era, with its styles and characteristics, the search with nostalgia in the middle of a sea of ​​diversified products and more and more interfaces; complex, while those who have known the vintage trends only "in itinere" often & egrave; attracted just by design and unusual aspects because different from us we are used to. And with this in mind LTS has carefully selected the best design radios for your home; among all the products of the brand Tivoli, on LTS you will find the most important ones; innovative and refined models inspired by the table radios of the '40s,' 50s and '60s. A unique style, characteristic, combined with a latest technology and at a very affordable price for products of this level; this is why & eacute ;, if you're going to replace your clock radio and you want something really original, on LTS you'll be able to choose among all the most important ones; beautiful vintage radios produced in recent years. & nbsp; Tivoli radio alarm clock Model Three: under the aesthetics there is more & ugrave; Tivoli audio has perfected its range of design radios over the last nine years, producing a series of high quality products; that you will find on offer on LTS. For example, the Tivoli radio alarms Model Three with its very original retro look. will allow you & agrave; to start each day with a good mood and a smile. The radio recalls, in design and finish, the old radios with knobs, with more. all the warmth and country look of a wooden cabinet. But aesthetics must not be misleading, because it is a good idea. inside the Tivoli alarm clock Model Three beats a hyper-technological and accessorized heart. In a nutshell, this alarm clock looks like this; cute, delicate and that seems out of a cartoon guarantees you an excellent sound reproduction, a range of simple and intuitive functions, with more. all the connectivity of Bluetooth. Thanks to wireless technology you can at any time interface the Tivoli Model Three with your phone, smartphone or ipad simply with a touch; there is no; nothing more! easy. In addition, the Tivoli radio alarm clock Model Three is used; available on LTS in various colors, to best adapt to the environment of your home and your furniture. A complete hi-fi system with a pleasantly vintage look Tivoli audio, however, does not only deal with radio design and among its products on sale on LTS you will also find an advanced hi-fi system like the Music System +. This stereo system combines the beauty and harmony of the typical lines of vintage design with a series of technical features of the highest level, among which we mention, just to name a few; connectivity & agrave; Bluetooth, thanks to which you can listen to your favorite music on your mobile phone or smartphone simply by connecting it with the stereo system; Spotify connect to download songs and texts directly from the pi & ugrave; important music sharing platform; a high quality audio output; that reproduces the sounds with the clarity and clarity of a CD player. In addition, if you are a true "fan" of the music and the sound of the Music System + stereo does not satisfy you, or if you are looking for a better solution; immersive, you can connect to the system any of the sets of speakers signed by Tivoli audio and found on LTS; in this way your audio experience will not have; comparisons. 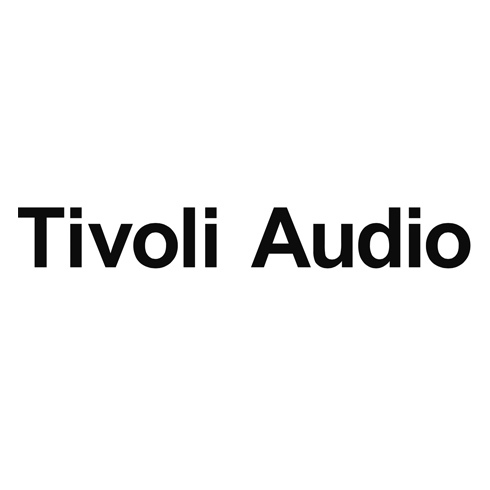 Born in 2000, the Brand Tivoli Audio had the chance to rely on the exceptional co-founder Henry Kloss, one of the most important innovators in the field of audio and radio technologies. His influence can be noticed in the minimalist modern touch and the exceptional technology that distinguishes each product of the Brand, from traditional radios to Wi-Fi speakers. Always dream of a vintage radio that captures the charm and atmosphere of the past, while offering comfort, practicality & agrave; and a powerful radio signal, able to receive all your favorite radio stations? From LTS you can find us that's right for you thanks to the exclusive series of vintage radios signed by Tivoli; an assortment of unique models, with a characteristic design and the countless functions that will satisfy your needs. Even the eye wants its part, especially in the field of furniture; here is why & eacute; the vintage radios of the Tivoli are a winning choice, able to match perfectly even with shabby chic or country furnishings, but without sacrificing comfort; of a resistant and reliable product. In addition, the range of models is cos & igrave; varied that you'll be spoiled for choice on which Tivoli radio to buy at LTS. Tivoli audio has perfected its range of design radios over the last nine years, producing a series of high quality products; that you will find on offer on LTS. For example, the Tivoli radio alarms Model Three with its very original retro look. will allow you & agrave; to start each day with a good mood and a smile. The radio recalls, in design and finish, the old radios with knobs, with more. all the warmth and country look of a wooden cabinet. But aesthetics must not be misleading, because it is a good idea. inside the Tivoli alarm clock Model Three beats a hyper-technological and accessorized heart. In a nutshell, this alarm clock looks like this; cute, delicate and that seems out of a cartoon guarantees you an excellent sound reproduction, a range of simple and intuitive functions, with more. all the connectivity of Bluetooth. Thanks to wireless technology you can at any time interface the Tivoli Model Three with your phone, smartphone or ipad simply with a touch; there is no; nothing more! easy. In addition, the Tivoli radio alarm clock Model Three is used; available on LTS in various colors, to best adapt to the environment of your home and your furniture. Tivoli audio, however, does not only deal with radio design and among its products on sale on LTS you will also find an advanced hi-fi system like the Music System +. This stereo system combines the beauty and harmony of the typical lines of vintage design with a series of technical features of the highest level, among which we mention, just to name a few; connectivity & agrave; Bluetooth, thanks to which you can listen to your favorite music on your mobile phone or smartphone simply by connecting it with the stereo system; Spotify connect to download songs and texts directly from the pi & ugrave; important music sharing platform; a high quality audio output; that reproduces the sounds with the clarity and clarity of a CD player. In addition, if you are a true "fan" of the music and the sound of the Music System + stereo does not satisfy you, or if you are looking for a better solution; immersive, you can connect to the system any of the sets of speakers signed by Tivoli audio and found on LTS; in this way your audio experience will not have; comparisons.